Paul Frank's Julius monkey takes on the physical world! 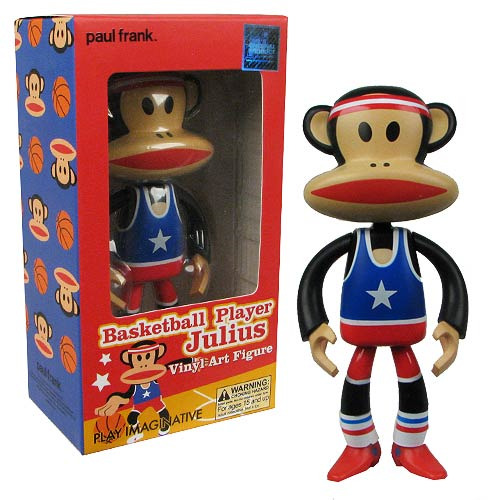 This Paul Frank Basketball Player Julius Vinyl Art Figure features the famous Julius character wearing the uniform of a basketball player. He measures 5 1/2-inches tall! Ages 15 and up.